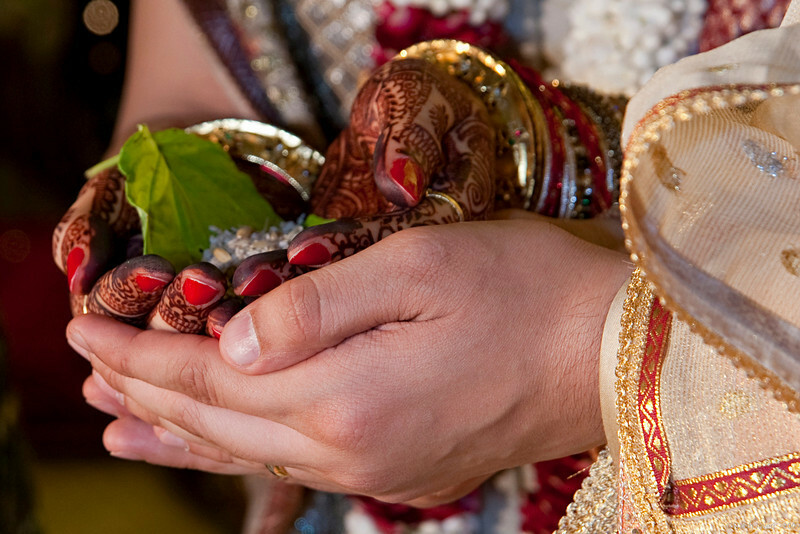 The joining of hands by the bride and groom in a Hindu wedding is as symbolic as the exchange of rings in the Christian tradition. A most interesting and informative posting. Nicely captured. I know. Watch out for gifts of leaves and nuts.